Retail Mattress Solutions has over 26 years of retail and marketing experience and our team has been producing innovative top-of-bed point of sale products for leaders in the mattress industry for nearly 10 years. Our clients span across the United States as well as internationally. Customized E-Commerce platforms make ordering and tracking simple, and Retail Mattress Solutions will allow bedding partners to utilize interfaces that are linked and compliant with all major retailers, supporting multiple web-based sales organizations with integrated support models. The RMS difference is the innovative product development, perfect for bedding manufacturers looking for eye-catching top-of-bed products. 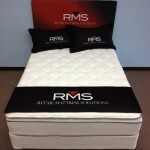 From elegant headboards to embroidered foot protectors, Retail Mattress Solutions produces high quality custom mattress marketing to make bedding companies look their best.